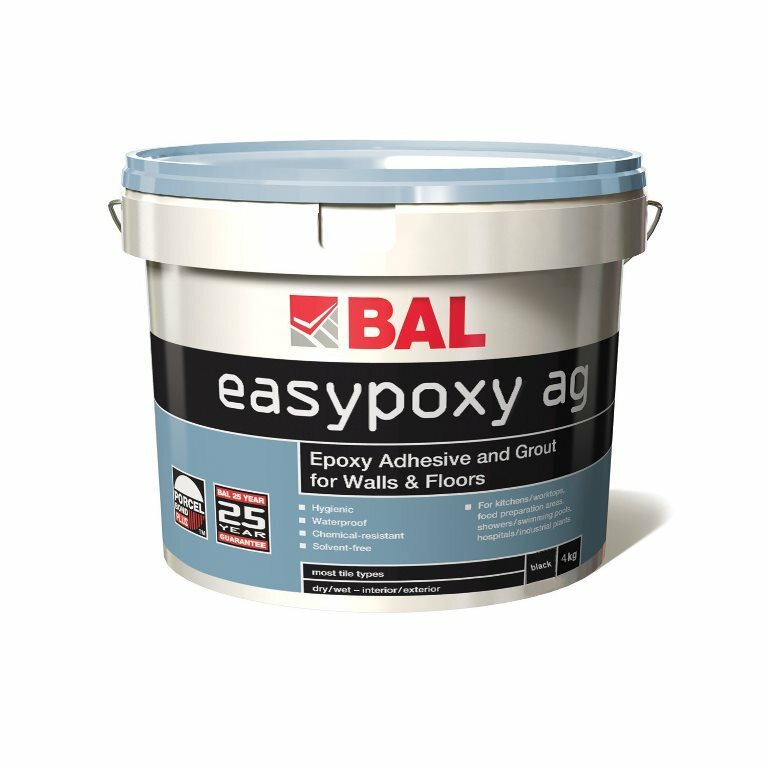 New and improved BAL Easypoxy AG is a high strength, chemical-resistant and solvent free epoxy adhesive and grout for walls and floors in hygiene critical locations such as kitchens, industrial/chemical plants, showers, swimming pools and hospitals. The new formulation provides users with an epoxy that is easier to mix, apply and clean-off during installations. Now available in white, black and grey, BAL Easypoxy AG has an excellent set time of only 12 hours, compared with 24 hours previously. The new formulation also has an extended pot life of 45 minutes for easier mixing. BAL Easypoxy AG should be the number one consideration as your tile adhesive and grout when specifying commercial projects with hygienic critical environments and areas where additional chemical resistance is required. While BAL Easypoxy AG is not recommended for direct food contact, its use is recommended for food preparation areas where a hygienic, easily cleaned surface is required. Now available in 4kg, the product is perfect for ceramics, porcelain and fully vitrified tiles, mosaics and glass or translucent tiles including glass mosaics. 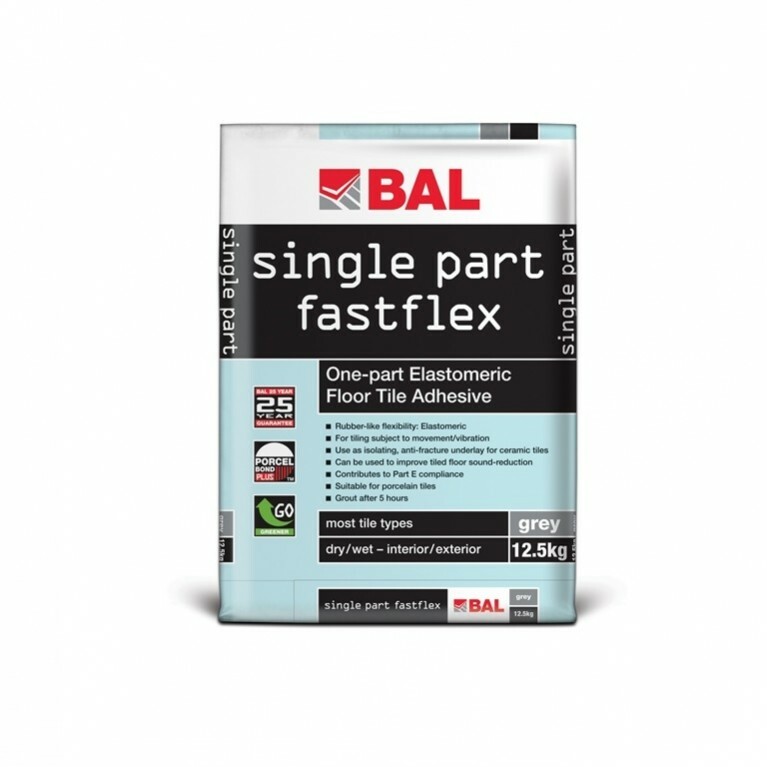 TYPICAL COVERAGE AS ADHESIVE WITH MOSAIC TROWEL (per pack): 1.6kg – 1.7kg per mm thickness depending on nature of surface and on trowel used.